Cute gift card. I hope I win it! I love your site and always visit it before going to Target. Very cute! I would love to win it! Really appreciate each week’s generous giveaways! Thanks for the chance to win and all you do at Totally Target! OF course, I like you on Fb. Thanks for your hard work. Now following you on twitter as well! Rain Rain go away…cold and rainy in MN today. What a cute card. I’d love to win. I would love to win that go along way towards my Target habit. Pick me!!! Pick me!!! Please!!!! 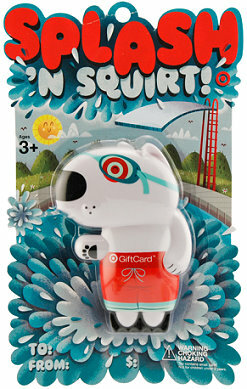 the gift card is soo cute!